Rabbits are mammals that are closely related to hares, rabbits are not classified as rodents because they have two sets of incisor teeth. 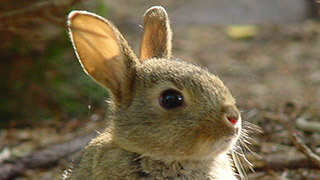 Most rabbit species live in groups and dig underground burrows, also known as rabbit holes. They mainly feed on grass and leafy weeds.